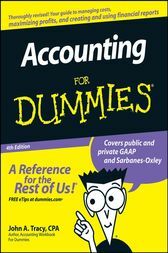 Financial Accounting ACG2021 SFCC Fall 2007 Chapter 13. In this chapter, accounting Professor Susan Crosson discusses Cash Flow, and in particular: Statement of Cash Flows Format. Part 1 of 9. Financial Accounting ACG2021 SFCC Fall 2007 Chapter 13. In this chapter, accounting Professor Susan Crosson discusses Cash Flow, and in particular: Operating Activites. Part 2 of 9. Financial Accounting ACG2021 SFCC Fall 2007 Chapter 13. In this chapter, accounting Professor Susan Crosson discusses Cash Flow, and in particular: Investing Activites - Investments. Part 3 of 9. Financial Accounting ACG2021 SFCC Fall 2007 Chapter 13. In this chapter, accounting Professor Susan Crosson discusses Cash Flow, and in particular: Investing Activites - Plant Assets. Part 4 of 9. Financial Accounting ACG2021 SFCC Fall 2007 Chapter 13. In this chapter, accounting Professor Susan Crosson discusses Cash Flow, and in particular: Financing Activites. Part 5 of 9. Financial Accounting ACG2021 SFCC Fall 2007 Chapter 13. In this chapter, accounting Professor Susan Crosson discusses Cash Flow, and in particular: Example - Operating. Part 6 of 9. Financial Accounting ACG2021 SFCC Fall 2007 Chapter 13. In this chapter, accounting Professor Susan Crosson discusses Cash Flow, and in particular: Example - Investing. Part 7 of 9. Financial Accounting ACG2021 SFCC Fall 2007 Chapter 13. In this chapter, accounting Professor Susan Crosson discusses Cash Flow, and in particular: Example - Financing. Part 8 of 9. Financial Accounting ACG2021 SFCC Fall 2007 Chapter 13. In this chapter, accounting Professor Susan Crosson discusses Cash Flow, and in particular: Ratios. Part 9 of 9.